I stamped the onesie on chevron patterned paper with brown ink and then die cut it. Both the stamp and the die are from Hero Arts. I attached silver brads for the snaps. The cute little rubber duck is an old stamp from PSX (Personal Stamp Exchange). Sadly, they went out of business but I’m sure there are lots of other cute rubber duck images out there! He is colored with Copic markers and attached to the onesie with pop dots. The embossing folder, dotted scallop ribbon border punch, banner punch, and Banner Banter stamp set are from Stampin’ Up. To put the card together, emboss a white panel and attach to a light turquoise card. 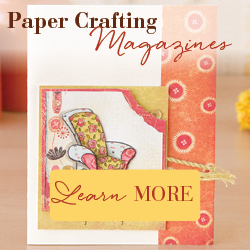 Punch a ribbon strip from the same color turquoise card stock and attach over the embossed panel. Stamp the banner with turquoise ink and “cute baby” with brown ink, then punch out. Attach to the card, tucking the top edge under the dotted ribbon strip. Attach the onesie with pop dots. The colors can easily be changed for a little girl. Or maybe change the rubber duck to a heart or an initial for that special little one. 3 Responses to Cute Baby! Another cute card! You need to go in business.